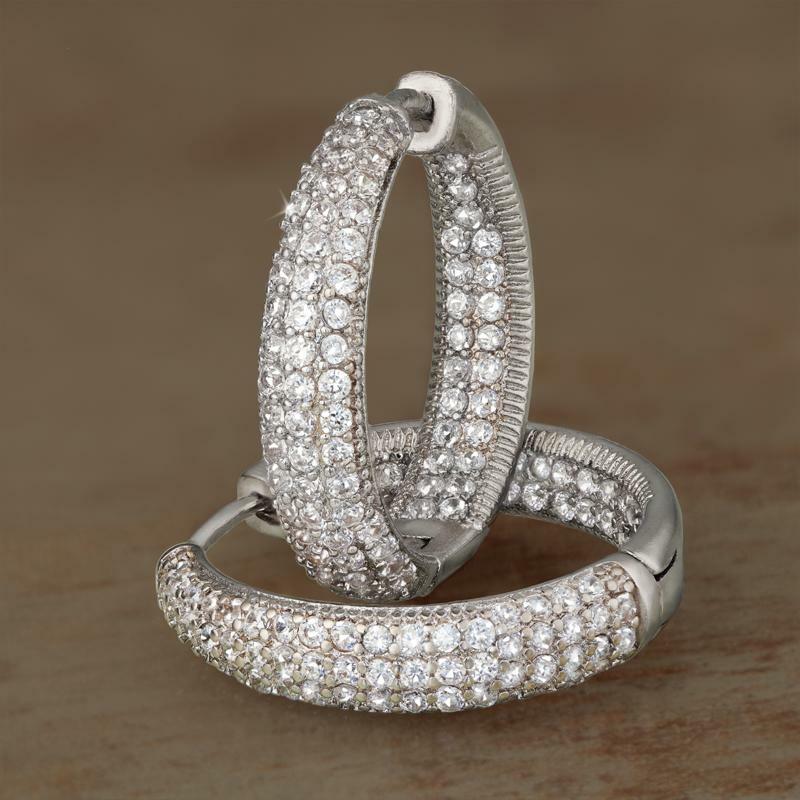 Another dimension of sparkle is created with our Inside Out Earrings. They are truly easy on the eyes. But, they are also beautiful on the inside. The glistening white stones that highlight the front side and inside of these hoop earrings are conflict-free and environmentally-friendly DiamondAura®.Using the powers of science these stones rival mined diamonds in clarity and color. In terms of price, DiamondAura runs circles around mined diamonds. 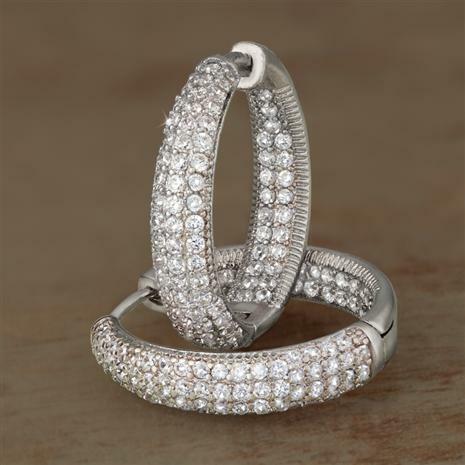 We’ve seen this earring style with mined diamonds and the price is over $2,000. That’s outrageous. And, quite frankly without a jewelers loupe you can’t even tell the difference. Yes, these earrings are truly beautiful inside and out–– you can feel good about the sparkle and the price.